Hiya guys! 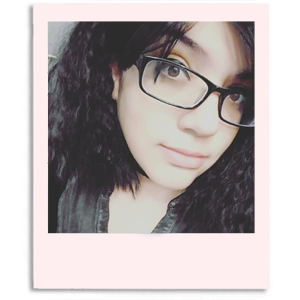 It's been a long week and unfortunately I am looking at another month or anxiety and stress. Yup, I'm not thrilled because I thought everything would be over with yesterday. But I'm trying to stand strong and not think about it much. So moving along, today I have swatches to share for Crisp Cool Nights by CDB Lacquer. Oh yes people, Fall is in the air as this vamp-licious shade shows us. 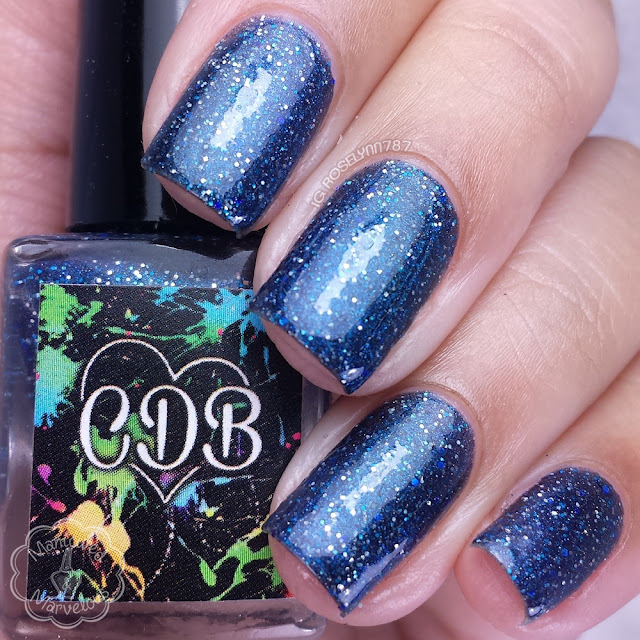 Crisp Cool Nights by CDB Lacquer was released today Tuesday, September 1st at noon EST. As with all limited edition polishes, once it is sold out it will not be restocked. Crisp Cool Nights is a midnight blue jelly with silver and blue glitters in numerous sizes as well as a subtle shimmer. I am really in love with the tone and glitter combination in this shade. It's perfect for transitioning into Fall, as well, as through the next season. Doesn't it just feel like you're looking at the night sky? Really great formula that's almost fully opaque in a single coat, which is impressive considering this has a jelly-like finish. Shown here is two coats sealed with a glossy topcoat. OMG look at that macro shot! Beautiful. Such a rich, deep blue! Gorgeous swatches as usual! Just the right amount of glitter. I love it! Great swatches! I love the macro. oooh hadn't heard of this brand before, looks like another one for the ISO! Great pics! Hmmm, that's a great Fall shade! Love the glitter. This is how a base for a galaxy mani should be! Gorgeous deep blue!! Love it! And you wear it so well! This is the perfect blue polish. Just gorgeous. You'd compliments you nicely! Gorgeous swatch! Ooooh so beautiful! Cheyenne did a fantastic job on this one! Cheyenne always makes such a perfect polish! Beautiful swatch! wow almost a one coater! It's so pretty. That's awesome that it has such great coverage! This is a lovely colour! The base color and shimmer are gorgeous! Gorgeous swatches! This definitely has me ready for fall!